N.C. COAST — On a national scale, the theme for Earth Day 2018 is End Plastic Pollution, a response to the overwhelming problem of plastics in the environment that includes a campaign to build support for eliminating single-use plastics and regulating the disposal of plastics. Along the coast of North Carolina, organizations are bringing the message to area parks and businesses by hosting events designed to share with the public all aspects of the environment, from conservation to education, and cleanups where volunteers can join in the fight against marine debris and prevent trash from entering the ocean, sounds and waterways. 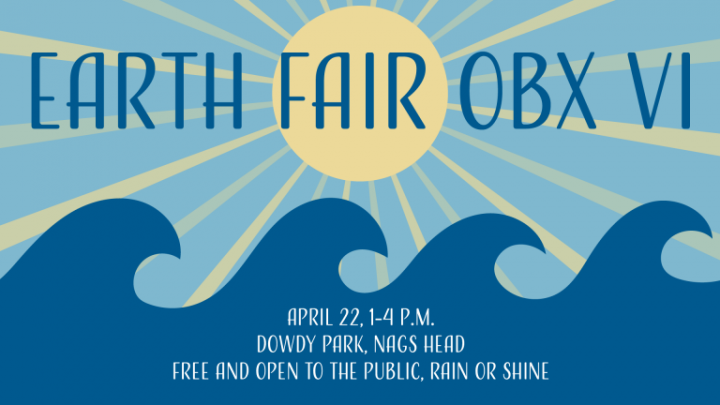 Learn more about conservation groups, national and state parks, and more during Earth Fair OBX VI 1-4 p.m. April 22 at Dowdy Park in Nags Head. On hand during the fair will be officials and representatives from the Cape Hatteras National Seashore, Dare County, First Flight Adventure Park, Jockey’s Ridge State Park, the North Carolina Aquarium on Roanoke Island’s Green Team, North Carolina Coastal Reserve, Network for Endangered Sea Turtles, Outer Banks Center for Dolphin Research, Outer Banks Adventures, Outer Banks Catch, Sea Change Partnership, Outer Banks Society for the Prevention of Cruelty to Animals, town of Nags Head, University of North Carolina Coastal Studies Institute, U.S. Fish and Wildlife Service, Local As it Gets and The Nature Conservancy at Nags Head Woods. The town of Nags Head will host a town-wide litter cleanup. The town’s mascot, Nelson Nag, will be in attendance. There will also be live music by Nature Out Loud. This free event will take place rain or shine. Visit the website for details. The fifth annual OBX Cares celebration is set for 3 to 7 p.m. April 22. Taking place at the Outer Banks Brewing Station, area environmental organizations and crafters will be in the backyard sharing their knowledge and wares. Live music will be provided by local reggae group Sensi Trails, joined by Kill Devil Dub Club and Space Koi. OBX CARES is a day dedicated to the focus of earth-friendly mindfulness and animal rescue in Dare and surrounding counties. More details are available on the website. Celebrate Earth Day at Fort Macon State Park 10 a.m. to 2 p.m. Saturday, April 21. More than a dozen environmental and conservation groups will have displays and activities showcasing their conservation efforts. Groups participating include the following: North Carolina Coastal Federation, Outer Banks Wildlife Shelter, North Carolina Aquarium at Pine Knoll Shores, Carteret Big Sweep, North Carolina Maritime Museum, Joy Group of the Swansboro Baptist Church (they make sleeping mats out of used grocery bags for the homeless), Carolina Kite Club, Coastal Environmental Partnership Carteret Amateur Radio, North Carolina Coastal Reserve and Crystal Coast Star Gazers. 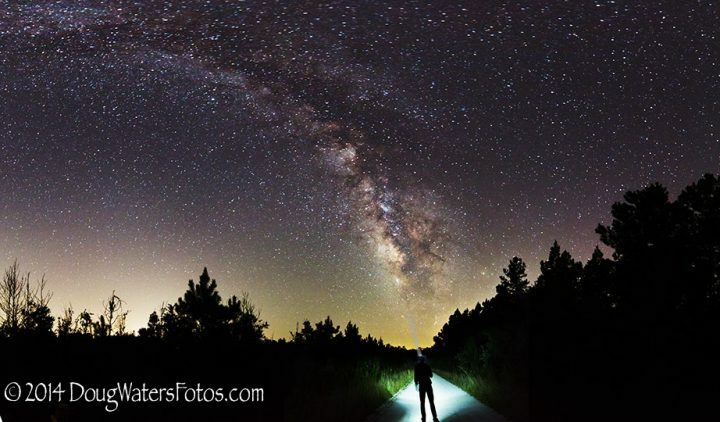 Fort Macon will host a statewide Star Party at 7 p.m. Friday, April 2o, at the bathhouse area of the park. There will be activities and crafts for all ages until dark. 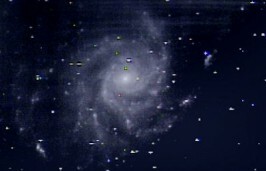 Once it does get dark, there will be several telescopes set up for the public. Also on Saturday and Sunday, the Fort will have the 1st/11th NC Volunteers for the first living history weekend of 2018. Details about Fort Macon in Atlantic Beach are on the state park’s website. Earth Day celebrations on Oak Island will take place 10 a.m.-2 p.m. Friday, April 20, at Middleton Park, 4601 East Oak Island Drive. Sponsored by Oak Island Parks and Recreation Department, all ages are encouraged to participate in the hands-on Earth-friendly activities and displays. Groups in attendance will include the North Carolina Aquarium at Fort Fisher’s outreach program, beekeepers, Sea Biscuit Bird Rescue, North Carolina Coastal Federation and others. To become a vendor or sponsor, call 910-278-5518. Visit the website for more details. There will be food, a kids’ zone, live music and more during Wilmington’s Earth Day Celebration noon-6 p.m. Saturday, April 21, at Hugh MacRae Park. This year’s theme, “rECOnnect,” was selected to bring awareness of humans’ connection to the planet and to encourage the public to “get back to those roots” according to the website. The free event will feature live entertainment as well as information and products that relate to the planet. Food, beer and beverages will be available for purchase. Selections are produced locally in and around the greater Wilmington area Along with the exhibitors, there will be a children’s music area next to the kid’s tent. Starting at 3:45 p.m. there will be a Nature Brigade Parade. Details, music lineup and vendor list are on the website. North Carolina Aquarium at Pine Knoll Shores is having a Party for the Planet April 20-22 during regular hours. There will be displays and activities highlighting this year’s theme, Conservation Celebration. Visitors will learn about their connection to the natural world and some of the conservation success stories and conservation projects at the aquarium. Party for the Planet activities are free with admission or Aquarium membership. Carolina Beach State Park: Join an Earth Day hike Saturday, April 21, on the New Hanover County state park’s newest trail, Sand Live Oak Trail. This trail snakes through the southernmost end of the park property, through several different plant communities along the Cape Fear River. Meet the park ranger at 12:30 p.m. at the end of Nature Trail Lane in the Flytrap Trail parking lot. The hike is 3.5 miles and will last about 2.5 hours. Wear good hiking shoes and bring water. Insect repellent is recommended. Call the park office at 910-458-8206 for more information. The park is at 1010 State Park Road, Carolina Beach. Goose Creek State Park: Join the Acts of Green event at this state park in Beaufort County to learn how you can become part of the global Billion Acts of Green effort. Plant a tree, take a quiz and find out what you can do to help reduce plastic pollution. Meet in the visitor center at 10 a.m. Sunday, April 22. The park is at 2190 Camp Leach Road, Washington. Pettigrew State Park: Discover the flora and fauna of this state park in Tyrrell and Washington counties on the 3-mile Earth Day Hike. For more information call 252-797-4475. The park is at 2252 Lake Shore Road, Creswell. The state park website has information about Earth Day events across the state. Join Sound Rivers volunteers 8 a.m.-noon Saturday, April 21, to clean the Tar-Pamlico River. 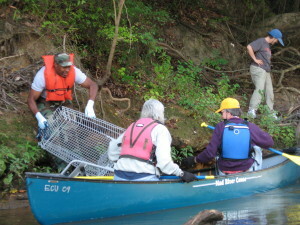 A Sound Rivers river cleanup. Volunteers can meet at Havens Garden in Washington; Port Terminal Boat Ramp in Greenville; Shiloh Landing in Tarboro; or Battle Park Boat Ramp in Rocky Mount. The town that collects the most trash will be crowned the 2018 champion. The cleanups in Tarboro and Rocky Mount are co-sponsored and coordinated by Keep America Beautiful of Nash and Edgecombe counties. Bring a canoe, kayak or jon boat along with a personal flotation device. Some kayaks may be available in Washington and Greenville area but call in advance. Plan on a paddle of about 3 miles downstream. Bags will be provided and a limited amount of gloves will be available. For more information contact Forrest English at 252-946-7211 or pamtarrk@soundrivers.org. Organizers ask that volunteers register in advance. Cape Hatteras National Seashore and the North Carolina Beach Buggy Association, or NCBBA, welcome volunteers to drop by one of two beach cleanup efforts 8 a.m.-noon Saturday, April 21. Coquina Beach on Bodie Island. Volunteers are to meet park staff at the bathhouse. Old Cape Hatteras Lighthouse Site on Hatteras Island. Volunteers are to meet park staff in the parking lot. Trash bags will be provided. Volunteers under the age of 18 must be accompanied by a parent or legal guardian. In conjunction with the Seashore’s events, NCBBA members will be stationed at the park’s off-road vehicle ramps where visitors can obtain trash bags for collecting litter during their visit. Participants are asked to deposit the trash bags at the ramp entrance for collection. All participants and volunteers are encouraged to bring leather gloves, water, snacks, and sunscreen. Wear appropriate clothing, such as closed-toe shoes and hats. For additional information on volunteer opportunities at Cape Hatteras National Seashore, visit the website or call 252-475-9042. Surfrider Foundation Bogue Banks Chapter welcomes volunteers to come out to Emerald Isle Sunday, April 22, for the first Earth Day Sound Side Sweep to clean up the Intracoastal Waterway. Meet at the Emerald Isle Boat Ramp at 9 a.m. for free yoga with Ann Marie. The captains’ meeting is at 9:45 a.m. and the cleanup will begin at 10:30 a.m. Trash weigh-in will be at 1:30 p.m. If you’d like to use your own boat and have a few seats open or if you don’t have a boat but would like to volunteer, message Surfrider Foundation Bogue Banks Chapter through their Facebook page and provide your name, email and ages of any children attending. Volunteers should bring closed-toe shoes, gloves and a trash bag or bucket, as well as sunscreen and a reusable water bottle. Captains will need to make sure that their vessel carries the required safety equipment and is in compliance with all federal and state regulations. During the cleanup, volunteers are encouraged to take a photo of the trash they’ve collected, post it and tag the organizers on Facebook or Instagram: @surfriderboguebanks with the hashtag #IMPACT1. For every post or share with #IMPACT1 Transportation Impact has vowed to donate a dollar, up to $1,000, to the Surfrider Bogue Banks Chapter. 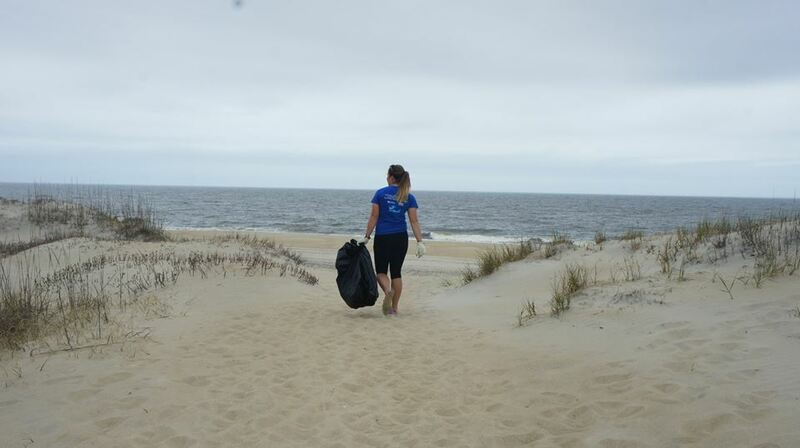 Join Plastic Ocean Project, Crystal Coast Waterkeeper, Carteret County Big Sweep, North Carolina Maritime Museum and North Carolina Aquarium at Pine Knoll Shores noon-2 p.m. Sunday, April 22 for a cleanup in conjunction with Hope Spot Hatteras. Hope Spot Hatteras is a marine protected area designated in 2016 off the coast of North Carolina that is recognized as one of the most bio-diverse locations in the country. It is home to 16 commercially important fish as well as 16 known endangered and some critically endangered marine animals. 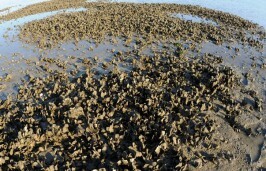 A cleanup will take place at the Radio Island Boat Ramp and you can participate on land or on the water. On land, wear close-toed shoes and gloves and bring a reusable water bottle. If you would like to participate on the water, bring your own canoe or kayak, or contact Larry Baldwin at larryb@crystalcoastwaterkeeper.org to have a canoe or kayak provided for your use. Boats are limited. Another cleanup will take place at the Iron Steamer Public Beach Access in Pine Knoll Shores. Bring your Hope Spot shirt (optional) and a reusable water bottle to stay hydrated. Call 252-670-1413 with any questions. 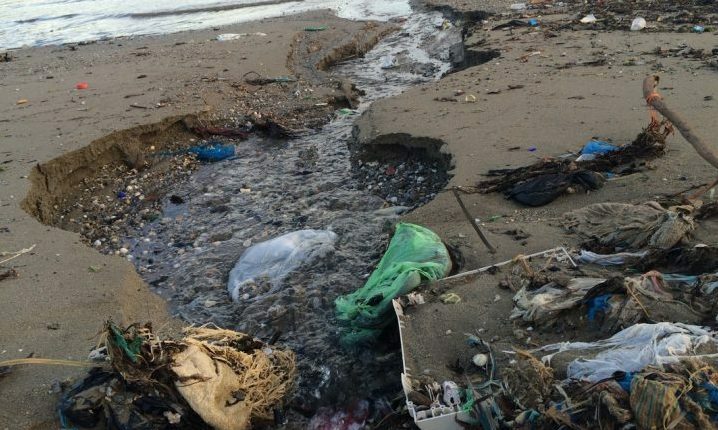 The first Pokémon GO Earth Day Clean Up is slated for Earth Day weekend and involves Hope Spot cleanup event sites around the world to bring the Pokémon GO community together not only to “catch them all,” but also to collect marine debris from these special places. 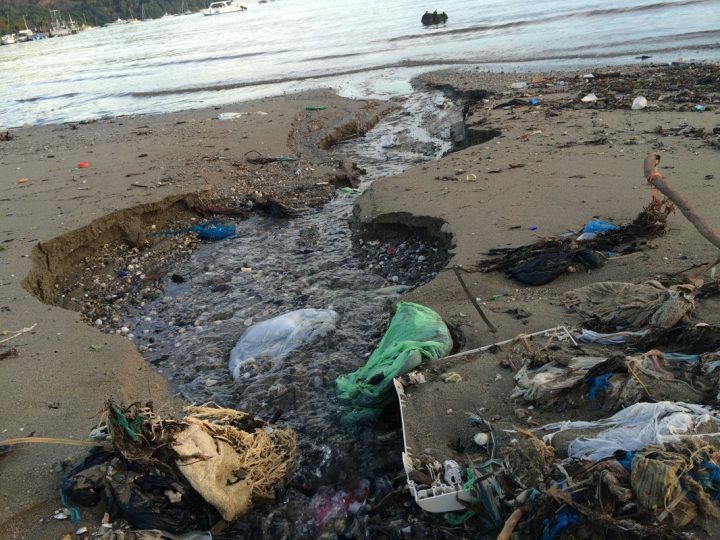 Organizers hope to host the most coordinated cleanups in a 48-hour period. There are several taking place on the North Carolina Coast on April 22. To find more Pokémon GO clean up Earth Day events, visit pokemongolive.com/en/events/earth-day. If we missed your event, send an email with the details to jennifera@nccoast.org and we’ll be sure to add it.